When Derrick Daniels, Justice Department attorney, reluctantly investigates the possibility that rogue Arab states developed deadly diseases as a terrorist weapon against the United States, assassins and inexplicable forces threaten his existence. Soon, the powers of ancient law collide with contemporary villainy, threatening the fate of all humankind. Every living thing is at risk, from wild animals that become road kill to the most elite members of every society. Is widespread violence random, or is there a combination of unrelated plots conspiring to bring an end to the idyllic life that used to define the American way? 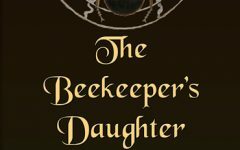 THE DIVINE AFFLICTION contributes to the thriller style by showing that multiple genres can define a single novel. This story can’t be placed in one category. To the contrary, it is an adventure, contemporary, domestic thriller. It contains international suspense with medical, science, and religious thriller attributes. It is a mystery with all those components. It’s a whole lot of bang for the buck. While researching the medical aspects of the material required to write THE DIVINE AFFLICTION, I found a serious connection between several degenerative brain diseases. It gives me hope that someday soon, cures will be found for many, now incurable, diseases, once the common connection of infectious agent is discovered. It is my hope that readers will realize the frailty of our security and existence. They will explore how the powers of ancient law collides with contemporary villainy. They will decide if violence is random or are there plots conspiring to bring an end to the idyllic life that used to define the American way. One never knows what’s real and what’s imagined. Orwell, Conrad, Faulkner, Melville, Dickens, Steinbeck, and Fitzgerald are some of the giants I admire. The way they place words is akin to observing a master geneticist define the building blocks of a complex life form. In my fiction, I strive for some semblance of scholarly content, however, when reading the real masters of literary fiction, I am humbled and know my place. Dr. Fleisher holds a BA in psychology and DMD with a specialty of endodontics. Engaged in writing for the past thirty-five years, he has written for professional journals as well as having produced several non-fiction books. After three self-published books, he was fortunate to have made publishing deals for his most recent non-fiction titles: The Sexless Marriage Fix – Basic Health Publications, and From Waiting Room to Courtroom – How Doctors Can Avoid Getting Sued – Jay Pee Brothers Medical Publishers. Both of these books were released in 2016. 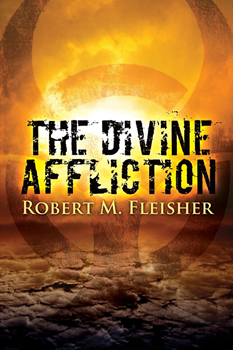 Having left dentistry to write full time, he revisited his passion for fiction, and is now happy to present THE DIVINE AFFLICTION for your reading enjoyment. 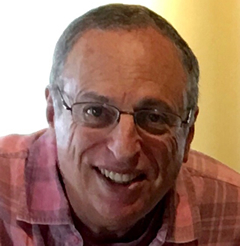 To learn more about Dr. Fleisher, please visit his website.